Just one day older but now officially closer to fifty than forty. Ah well, I can't complain. A birthday on a Sunday and I've been spoilt rotten. 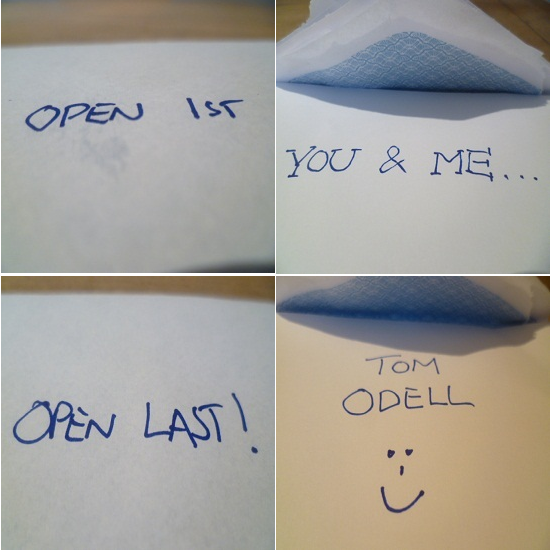 Including a dolly mixtures cake and this fab surprise... tickets to see Tom Odell in three weeks time. Live music, young talent... I can't wait. Now it's cocktail o'clock. Hope you've had a good weekend. Happy Birthday Claire and may the coming year bring you every blessing. Happy Birthday! I hope it was good and the cocktails were tasty. I adore dolly mixture. I buy them "for the kids" but they are blatantly for me.